Will Val Chmerkovskiy Make It To General Hospital's Nurses' Ball? 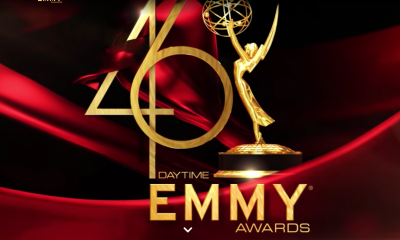 Dancing with the Star All-Stars Val Chmerkovskiy, the former ballroom competition partner of Kelly Monaco (Sam) made such an impression on General Hospital executive producer Frank Valentini during his last cameo appearance that the soap is looking to invite him back … and …. for the upcoming Nurses’ Ball no less! According to OMG Yahoo! 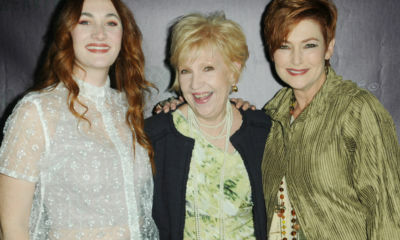 via AccessHollywood.com, Valentini confirmed Val’s return is in the works: “Yep. We’re crossing our fingers. That one is totally based on schedule. We love Val, he loves us, he had a lot of fun last time on the show working with Nancy Lee Grahn (Alexis).” Of course ,it would make sense if Kelly Monaco and Val danced a routine during the talent show portion of the Ball! 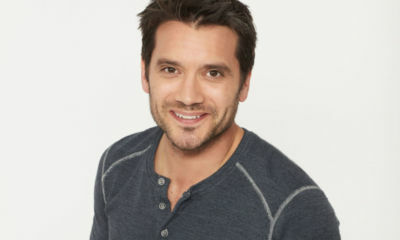 Beyond the Nurses’ Ball, Valentini said he would be open to Val being a recurring guest star! So soapers would you like to see Val perform with Kelly at the GH Nurses’ Ball? Who else would you like to see sing and dance from the cast? And what do you think about the on-screen chemistry of Kelly and Val and Kelly and Michael Easton? Weigh in! REPORT: Erika Slezak and Robert S. Woods Have Made Deals To Join One Life To Live! GH EP Frank Valentini On Genie Francis' Return: "It's not a guest appearance. We've hired her, we've absolutely hired her!" Would love to see Jack Wagner sing at the Nurses Ball! I think Kelly and Michael’s chemistry is amazing! Totally, I’ve rarely seen so much chemistry between two people onscreen. I wish they’d jump on each other already, this is an even bigger tease than Todd and Carly (which I also love together)! Yes, I would love to see Val with Kelly on GH. He needs to hurry before Sam is forced into a love story with Mcbain. As a long time fan of Kelly (Sam McCall) , I agree she is way over due for a little fun & happiness. Unfortunately, I don’t see all this chemistry between Kelly & Michael that Frank is talking about. They keep telling the viewers that they have this “connection” but I don’t see or feel it. I think maybe it’s the age difference. 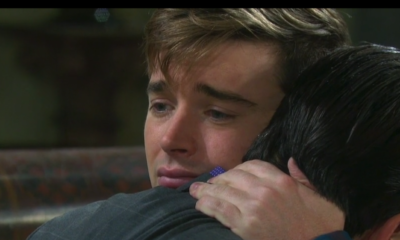 I thought he had more on screen chemistry with Alexis & Anna than he does with Sam. So bring on Val! I agree! I loved them together when they were Caleb and Livvie, they work well as friends on GH, but I don’t see this chemistry either. VAL! I would love to see Val back on GH!!! And the chemistry between KeMo and ME is off the charts sizzling!!!!! They are HOT HOT HOT!!!!! ME & KM have nice chemistry but I would not say ridiculous unless I am being nostalgic. As for DWTS Val, I will just say no. I did not watch them on DWTS so I will pass on GH. KM first DWTS inspired storyline was horrid enough for me to tune out, do not need a repeat gimmick, just my opinion. Would like Ned and Frisco to sing and let Luke dance a Saturday Night Fever number. I agree I’m not fond of gimmicks – and that first one with Sam having a look-a-like ballroom dancer was a dud. BUT, in this setting it makes sense AND not only is Kelly a better dancer, but Val and Kelly dance wonderfully together. It will be a smash. I wholeheartedly get and respect what you are saying about the setting and Kelly and Val dancing together being a smash, but I had the opportunity to tune in to see them on DWTS and I passed. So, now because I watch GH, I have to be subjected to it now? Oh we’ll, I guess I will. Happy for the you and the viewers who are really looking forward to this, I just happen to be one who is not :). Well I will say I am glad it would only be a one time thing. If it were an actual story line I would be right there with ya! To have a setting like the wonderful Nurses Ball, and not showcase the terrific partnership of Val and Kelly on the dance floor would be insane. I am hopeful that the scheduling will work out, as this is such a great idea!!! Omg,, yes,,, get Val on there asap!!! There is fantastic chemistry between him and Kelly that is off the charts!! I know people say Kelly send Michael have chemistry,, but I seriously do not see it. Now, with Kelly and Val being paired up on DWTS and the hoopla surrounding it,, the fans are NOT wrong!! He has his career ,, so he’s not a starving actor,,, but you wanna talk fun for Kellys character,, he’s your man!!! I always thought that Rick Hearst and Florencia Lozano would make great dance partners. that would mean bringing Ric and Te’a back momentarily, but I believe it would be worthwhile. It seems to me that I read somewhere that Rick Hearst’s wife is a professional dancer and dance instructor. And I seem to recall that, way back when Florencia Lozano first appeared on One Life to Live, her personal history included the fact that she was a professional dancer. It seems to me that Lozano’s specialty was the Flamenco. Someone else who is also surprisingly good at singing is Nolan North, who used to appear as Dr. Chris Ramsey on Port Charles. Of course, I understand that he is pretty busy with projects such as the Teenaged Mutant Ninja Turtles, but I seem to recall that he did a pretty good imitation of Elvis Presley for one of the Nurses’ Balls in the past. And, since Lucy has returned to ramrod this year’s Nurses’s Ball, it just seems as if there should be at least a few former Port Charles performers around to provide an act or two for the Nurses’s Ball. Don’t limit Val just to the Nurse’s Ball.What a waste of talent. He is insane hot, even hotter with Kelly and the more scenes with him the better. Yes, he’s hot. But did you actually watch his acting last time? Not good. Bring him on to dance at the Ball with Sam. That’s enough. I would absolutely LOVE to see Val and Kelly dance together at the Nurse’s Ball! The chemistry between Kelly and Val is Real which will bring many more viewers to GH. Kelly and Michael’s chemistry doesn’t not appear to be sincere. Viewers get caught up in the daily lives of these characters but also relate to what is fact and what is fiction when it comes to a relationship onscreen. That being said, Val Chmerkovskiy’s, in my opinion, appearance on GH left a lot to be desired. He bumped into Alexis with his shirt off. Whoop-dee-doo! IF and this is a big IF he was to make another appearance, it should be another cameo at the Nurses’ Ball to do what he is trained to do which is dance … not act. 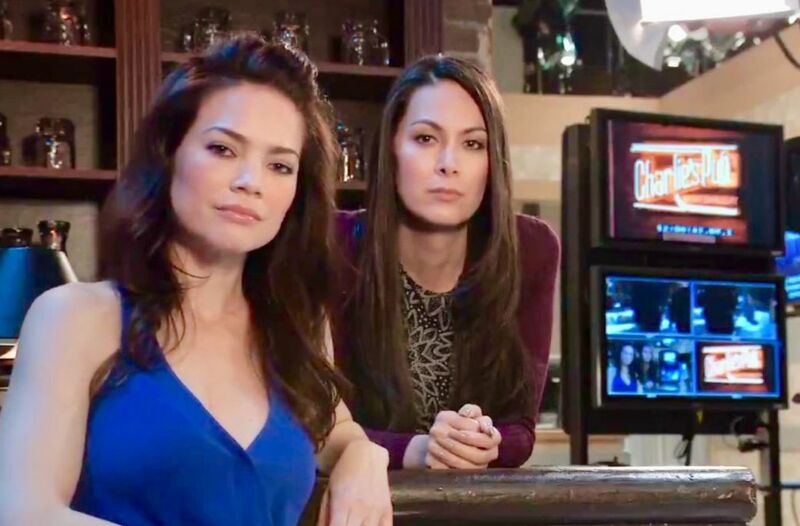 Unless you want to turn GH into one of those old movies without sound, I do not see this Val and Kelly Monaco being put together in a soap opera. Their chemistry is in the way their bodies move together on the dance floor. I totally agree; while Val is quite the eye-candy, his acting wasn’t that great. I mean, he’s a dancer, not a trained actor! Bring him on to dance at the Nurse’s Ball, but don’t make him a usual guest on the show. There are so many great struggling actors out there waiting for their big break, and then they go and give a role to someone with zero experience? Makes no sense. Kelly and Val do have amazing chemistry, but unfortunately he’s for not on par acting-wise. Val was on for less than two minutes, one day- not long enough for an acting assessment, IMO. Most actors also sing and/or dance so, one talent definitely doesn’t preclude having another. As for actors without jobs, there are many…always have been, always will be. Experience has never been a prerequisite for acting, new actors break out all the time and daytime is a starting point for many so, that argument is without merit. Val is new energy and heat, something any soap can always use and he and Kelly are magic. No offense to Michael Easton but, Kelly has the kind of heat she has with him, with everyone. Jax, Ric, Jason, Sonny, AJ, Jerry, Lucky….everyone. McBain and Sam are nothing new or, special. Sam and the shirtless boxer who flirted with Alexis…..are pure magic. Let’s go there. Also, let’s hear Spinelli and Maxie sing but, don’t reunite them because she loves him like a pet. But I do agree. I would LOVE to see them dance at the Nurse’s Ball, but that is it. I don’t want any story line with the two of them, no thanks. The ball makes sense and it would be fun, other than that….nah. Ditto, CTwild heart. His acting was sad. Bring him on to dance and let that be the end of it. Please. I say bring Val on full-time & have him & Kelly strike up a sizzlin’ romance story. I want to see McBain & Natalie reunited. Michael & Kelly were an awesome couple on Port Charles but now I like their rapport as good friends on GH & would rather have them stay that way. Perhaps Val can lose his clothes along with Lucy……. Yes I like the ideal of Val C. and Kelly M. workig together, is would be magic! But I would Michael E. and Kelly M., working together on GH… too! It was a silly scene, and I think it was done to tie in with DWTS. If he were to come back, he should be a dancing instructor, that is all he would be qualified for, but i do think the producers like to bring camp into the show. Ref. to vampires, and John and Sam knowing each other somehow. i do not see the chemistry between Kelly and Easton, i mean it seems there is some longing but that is apart of the role. As far as the nurses ball, I would like to see Spinelli and Maxie to a song together, Bradford can sing, and Kirsten can act goofy. I would like to see Olivia and Carly do sometihng, Patrick and Emma. But not the obvious, Starr ( I do not care for her voice, even though she is suppose to be a singer). But it seems like it really should be people connected to the hospital. 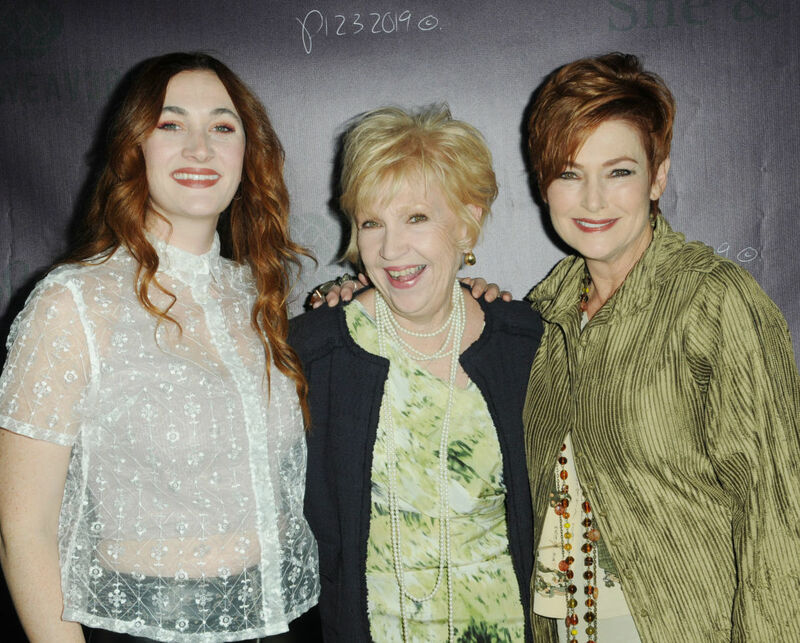 Oh yeah maybe Epithany and DIane, those are two of my favorite ladies on the show. Dayplayers are the backbone of the show! I’d love to see Alexis and Diane do something funny. I miss the chemistry between those two when they showed them together as BFF all the time! They both have great comedic senses. Finola Hughes is a ballerina. Let her dance. I loved seeing Tony Geary sing Sintra (I think or else it was Sinatra-like). I think the Spinelli/Maxi act as previously mentioned would be a hoot! Milo should do another striptease, oh please! The male cops could do a song and dance routine in uniform. Songs from Frisco and Ned/Eddie Main are no brainers. Bring back Val! He and Kelly have so much more chemistry than Kelly and Michael. Jason must come back to g.h. to sam and the baby he dosent even know for a fact that he has a biological son and Robyn need to hurry and get back to her family. p.s…..Steve look like he got some work done….his eyebrows is all the way the way up,….